CALBAYOG CITY is situated in the western part of the island of Samar. It lies along the coastal region of the province stretching about 60 miles from the northern tip of the island and 180 miles from southern boundaries. 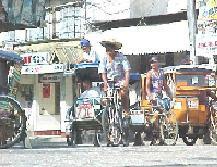 Calbayog is the third largest Philippine city comprising 157 barangays. Northwest of the city is the municipality of San Isidro, Northern Samar, north is Lope de Vega, Northern Samar, to the southeast is the municipality of Sta. Margarita, Samar, to the northeast are the municipalities of Silvino Lobos and Mondragon, both of Northern Samar, to the east is the municipality of Gandara, Samar, and; the Samar Sea to the southwest. The city has a total land area of 90,300 hectares which is .301% of the archipelagos total land area, 4.21% of the regional land area, 6.724% of the island of Samar and 16.10% of the area of Samar province. Forty percent of the citys land area is plain and hilly terrain with elevation ranging from 5 to 20 meters above sea level. The rest are rugged mountain ranges with elevations from 300 to 700 meters above sea level located beyond 21 kms. Northeast of the city proper. Calbayog experiences different types of wind. 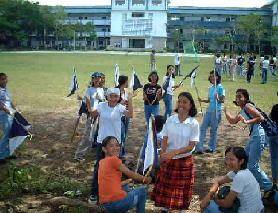 These are Amihan (northwind); Timog (southwind); Habagat (westwind); Canaway (northwest wind) Cabunghan (northeast wind); Dumagsa (southeast wind); and Salatan (southwest wind). It has two seasons; the wet and dry season. Calbayog has well distributed rainfall throughout the year, except during summer months of February, March, April and May when most parts of the city are dry. The highest rainfall intensity based on the record has reached to 267 mm/hr. This means that heavy downpour seldom experience in the locality thus, making Calbayog potentially appropriate for protective agricultural investment. The city belongs to the fourth type of climate which is evenly distributed throughout the year. It has a typhoon frequency of 19% but, only 5% out of the 300 typhoons that hit the region was able to badly hit the area in a span of six decades. In the 1995 census, the city registered a total population of 128,552 with an average growth rate of 2.18%. The 1998 population is 137,144 with a population density of 1.52% per hectare. This shows that Calbayog is not over populated. In both urban and rural areas, the household population of the city is 28,474. Calbayog has a total labor force of 43,686 classified as economically active population belonging to 15-60 years of age. This labor force is engaged primarily in farming, forestry and fishery considering that the city has an agro-based economy. Calbayog has partially addressed the housing problem with the ongoing construction of fifteen (15) housing subdivision that could provide Four Thousand Six Hundred Sixty Seven (4,667) housing units and residential lots. These housing projects are manage by private entities except the resettlement area which will be provided by the government through the National Housing Authority. These subdivisions includes: Dagum Hills I & II. Millaflor Village. Fulgencio Subdivision, Calbayog Realty and Development Corporation, Tomalon Estate, St. Vincent de Paul Homeowners Association, Lazaro Tancinco Village, F & A Better Home Village, Salvacion Homeowners Association, Western Heights Subdivision, C & A Plain View Subdivision, Narcisa Hills Subdivision, and Calbayog Resettlement Site, all these projects will be coordinated by the different housing projects agencies like the: NHMFC, NHA, HIGC etc., for urban development and housing program. The big land area of the city generally divided into agriculture and forest areas. Agricultural lands are subdivided into production, built-up area, protection land, mangrove forest, severe erosion area and watershed forest reserve, while; forest lands are further subdivided into open canopy, logged-over areas, built-up and protection area. Basically an agricultural city, it has 57,654.07 hectares or 63.85% belongs to agriculture while 32,645.93 hectares or 36.15% is forest lands. 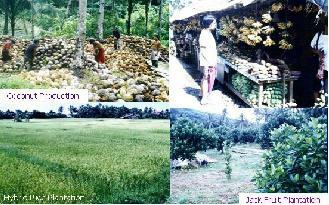 Its major products are copra, abaca, rice, vegetables, corn, rootcrops, fruits, bamboo & Nipa. With the the overall total quantity (mt.) of 28,330.428. 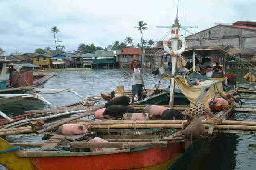 Calbayog is one of the exporter of fish and other marine products. Fisheries contribute to the economic revenues of the city. Major species abound like mackerel, sardines, squid, prawn, crabs, shells, oysters, and many others. Fish processing such as smoking, salting and drying are small scale industries operating in the locality. Fish which are caught everyday are exported throughout the country in huge volume. Fisheries contributes to the economic revenues of the city. Samar Sea with a fishing ground of 1,198 sq. miles is a vast resource for agriculture and sea farming activities. 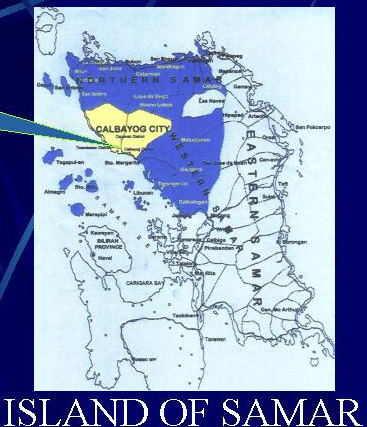 The forest land of Calbayog has an area of 6,327.91 hectares. Happy Valley and Seven Hills are remote areas with barangays producing forest products like rattan, nito, cogon, bamboo and other wildlife. These are adequate supply of raw materials for export oriented products. Local sources revealed that forest land have dramatically dwindled. The remotest of forest area containing untold forest has been depleted with the traditional slush-and-burn farming, poachers and illegal loggers invading the resource thereby endangering valuable species and wild life. Some have totally lost. Intensified program by concerned agencies are now in motion to save forest resource, this includes; reforestration and tree planting. Production of livestock and poultry products is another industry that enjoys the major concern of the city through the Tri-District program, a centerpiece program of the present government. Breeding centers were opened to develop superior genetic stocks, upgrading of carabao and dispersal program were established to accelerate livestock production. Dressed chickens are now exported throughout the region and Masbate area with an average of 2,000 heads daily. The investment of Swift Foods Inc. and the operation of Solmar Dressing Plant supplies poultry products which is now expanding its market in Central Visayas and Luzon. Swift has invested in the city which is now operating for almost five years. The volume of production of dressed chickens are exported to the different parts of the country. Nature has made Calbayog replete with mineral deposits. 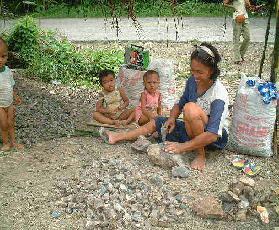 Marble which is an indigenous material for marble processing is found in the coastal barangays. Manganese which is chiefly used in the form of ferromanganese in steelmaking is similarly available in the same area. It was however purposely left untouched to preserve natures balance. Sand and gravel supplies the local construction needs but barely enough as some areas are banned from extraction to protect existing structures like, bridges and culverts. SEAPORT - Situated some 810 meters away from the city proper is the Calbayog Port which served inter-island vessels plying Cebu and other neighboring cities and municipalities. At present the Manguino-o Port and Samar Coco Port are alternative seaport facilities that could accommodate local and foreign vessels. AIRPORT - Calbayog airport can accommodate aircraft for general aviation. It serves commercial flight of Asian Spirit Airlines from Manila to Calbayog flights with frequency of 4 times a week. ROADS - Linking Samar to Luzon and Mindanao is the Maharlika highway with buses plying Luzon-Mindanao route. With a length of approximately 34 kms. concrete pavement and 52 kms. unpaved or earth road, CALBAYOG therefore, is already accessible even to remote barangays that produce farm products for agri-based industries with the presence of city roads extending to hard-to-reach area. WATER SUPPLY - The Local Water District supplies the water needs of the city. With the present upgrading of water facilities, it will ensure a speedy supply of water 24 hours a day. Also, the installation of an additional transmission line from the source to urban center will supply additional potable water. POWER - The power needs of the city is supplied by the Tongonan Geothermal Plant through the NPC via Samar Electric Cooperative (SAMELCO). This is supplemented by the Mini-hydro Electric Plant at Barangay Barral, Oquendo District. With another potential for mini-hydro plant in Brgy. Tinaplacan, the Bangon Falls, which is estimated to generate about four times that of Ton-ok, will augment the present electric services thereby reducing the present rate by a considerable percentage. COMMUNICATION - Serving the City in communication requirements are three (3) telephone companies which provide both local and long distance calls. The Calbayog Telephone System with direct dialing operator satellite assisted and one untracked dialing for local needs; Smart Communication and; Islacom with cellular phone and land lines which are available for domestic and international calls. Telegraph services are served by BAYANTEL and government owned Bureau of Telecommunications. The AM radio stations: DYCC, DYOG and DYHR and Super Radyo GMA; FM radio stations: MBC Radyo Natin FM and GMA Campus Radio. Two local TV relay stations and two cable TV stations provide entertainment; Community Channel TV6 - Fil Products, and CCBC TV 10. SCHOOLS - Calbayog City has two types of educational institutions, namely; Public and Private. Public institutions consist of 158 elementary schools, 9 secondary schools, one fishery named Rafael Lentejas Memorial School of Fisheries (RLMSF) and one state college, Tiburcio Tancinco Memorial Institute of Science and Technology (TTMIST). There are four private institutions. Christ the King College (CKC) and La Milagrosa Academy, two secretarial schools: Quezon Technical School (QTS) and Calbayog Technology Center offering vocational and computer courses. In coordination with the CITY TOURISM COUNCIL, there is an existing organization of hotel owners, restaurateurs, bakers and caterers called CAHOFOA - Calbayog Hotels and Food Operators Association. Members include: GEM PENSIONNE, 1901 FOOD & BEVERAGE, CHICKEYS SNACK HAUS, REBELLITOS REFRESHMENT, BEBS CATERING SERVICE, CARLOS & CARMELOS, KAMALIG RESTAURANT, MANGROOVE INN & RESTAURANT, BELENS CATERING, TTMIST HOSTEL. Other establishments include: BAGACAY BEACH RESORT & RESTAURANT, EDUARDOS TOURIST HOTEL & RESTAURANT, VISTA PENSIONNE, PRINCESS PENSION HOUSE, SIGMA LODGE, SAN JOAQUIN INN & RESTAURANT, CARDINAL ROSALES SOCIO PASTORAL CENTER. Other refreshment parlors include: BREAD MIX CAFÉ SHOPPE, CCBC FAST FOOD, MAYONGS SNACK HAUS, OCEAN VIEW RESTAURANT, LINDAS INN, MANUWEL MUSIC LOUNGE, NETS CARENDERIA, PRINCE COURT, D & J HYACINTH RESTAURANT, BRUTUS, JC Fastfood, Carlos & Carmelus, HERO Foodhouse, Studio Cafe, Alta Grill Restaurant, CCBC and SARAFF DRIVERS PLACE. Other food operators like CITY BAKERY, TIMOTHY BAKESHOP, AVAS BREADSHOP, DIAMOND BAKESHOP, JONDEL SNACK INN, CHUCAS BAKERY, NEW POPULAR BAKERY, MARS BAKESHOP, LEANS CATERING, RJR CATERING, UGOP CATERING and others are available to serve the needs of the Calbayognons. The City serves as a trading center in the region. The volume of trade and commerce in recent years has increased and is being favored by the adequate transportation facilities to Manila, Cebu and Tacloban City as these places serve as major points of distribution of supply of various goods/commodities. Various agricultural and marine products that meet local demands imply favorable trend in production. The city is in its infancy stage of industrial growth. The operationalization of Samar Coco Oil Mill in Brgy. Malajog and Ice Plants in Brgy. 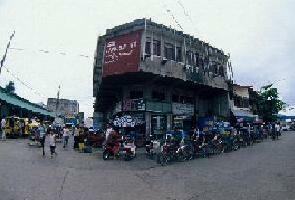 Baay and Binaliw, Tinambacan District is an indication that business prospects in the city is favorable. The Noodles factory supplies its noodle product demand to the neighboring island towns and the Eastern Visayas. Similarly, these are several small scale industries operating in the city which are assisted by the LGU. Assistance would involve capability building and seed capital for the operation of the industry. The bamboo craft industry in Malopalo doormat making in Malaga; upholstery in Peña; aquamarine in Tinambacan Norte which engages in bangus, fry and sugpo production; candy making industry (pili nut) is smoothly doing its business and favorite for pasalubong. Home industries such as mat weaving, furniture making out of bamboo, rattan, buri midribs and coco lumber are fast flourishing. The famous and delicious Tinapa also produced in the locality, is now a by word among tourists and travelers. Alimango (crabs) and Sugpo (prawns) also thrive in commercial volume and are transported to Metro Manila to supply demand gaps in the metropolis. Calbayog has identified numerous tourist sites which are potential for tourist destination. Meriting to be dubbed as City of Waterfalls are big waterfalls and other mini falls; caves; a spoon-like rock slide; a hot spring; hanging bridges; beautiful beaches and parks. Religious edifices include the biggest cathedral in Samar Island, a seminary on a hilltop and a statue of Christ the king College also on a hilltop at Brgy. Oquendo. There is also the Samar Archeological Museum and Research Center, the first in the island of Samar which is housed in a catholic institutions, SOS Childrens Village and a Baluarte. These tourist potentialities help boost the economic growth of the city. The city's development goal and objectives are to provide a high level of access to economic and infrastructure opportunities and services, and to ensure sustainable use of land resources. To meet the challenges posed by the tasks of accelerating development, the city seeks to generate income and employment in agriculture through increased agricultural production in farming, fishing and livestock to attain sufficiency of food. It shall likewise undertake trade, industry and tourism which are vital component in the economic scenario. In the pursuit for economic development, the governments immediate concern is geared towards the expansion of agriculture. This policy is congruous to the national governments focus of interest which enjoys the bulk of the national budget for food security. The constitution of Investors Guide, an investment promotional brochure and Local Development Plan which integrates therein the Land Use Plan plots the general direction of the local growth. It is an offshoot of these efforts which will significantly address current issues of development. FINANCIAL INSTITUTIONS : There are six (6) banking institutions operating in the locality that provide financial services; these are: the PNB, LBP, RCBC, METRO BANK, UCPB and RURAL BANK off Calbayog .Soon to operate is China Bank in Calbayog City.